Things keep going from bad to worse for Snap (NYSE:SNAP). The social networking company has continued to flounder in recent weeks, with another disappointing earnings report triggering yet more selling. Things are going to get worse for Snap stock. Since I wrote as much six weeks ago, shares are down another 25% . Also, as mentioned in that article, Snap’s business outlook just isn’t getting any brighter. That said, there’s a right price for everything. Has SNAP stock finally fallen far enough to justify buying it here? SNAP stock traded all over the place following its most recent earnings report. Initially, the stock moved higher in after hours trading after announcing a beat on both revenues and earnings. However, as traders looked at the results more closely, they changed their opinion and sent SNAP stock tumbling. The next morning, it traded down as much as 15%. That said, in recent days, Snap has recovered most of its post-earnings report losses. The mix in sentiment is because there is something for both bears and bulls in the recent report. For anyone optimistic on the company, the EPS figures are reassuring. GAAP EPS beat by two cents, and non-GAAP EPS showed a loss of only 12 cents, far less than the 27 cent per share estimate. On the revenue side, there was cause for cheer as well. The company posted $298 million in sales on the quarter against expectations of just $283 million. Unfortunately, it’s not clear that these results will be repeatable in future quarters. That’s because Snap simply hasn’t been able to grow its user base. For the year, Snap’s daily active user base of 186 million was a 5% gain against the same figure from last year. However, this marks the second sequential quarter of DAU decline, as this figure peaked at 192 million, and slid to 189 million last quarter before dropping again in this latest report. It’s not like SNAP stock was all that popular even heading into earnings. But since the report, bank analysts have offered some scathing reactions. Take Michael Nathanson of MoffettNathanson. Nathanson cut its price target yet again, this time from $8 to $6.50. But where things get really interesting is in the associated commentary. Other analysts have piled on as well. JP Morgan’s Doug Anmuth threw in the towel on SNAP stock following earnings. He slashed his price target in half, lowering his outlook from $12 to just $6. And that’s ultimately the crux of the problem. Facebook (NASDAQ:FB) has copied many of Snap’s best features and can use its size and budget to stifle SNAP. 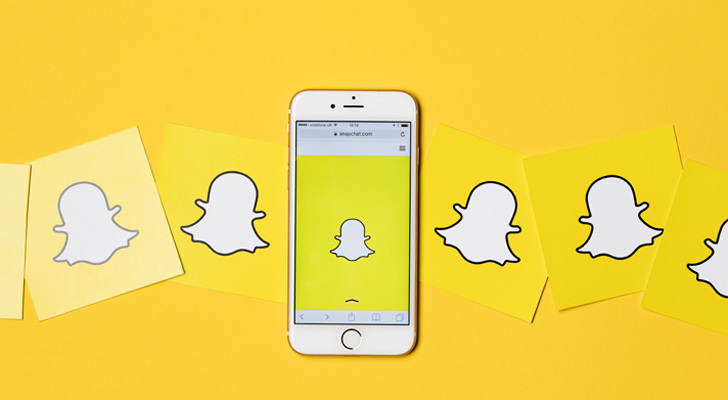 It’s not clear what Snap’s path forward will be as an independent company. Yes, the company is controlling costs and has managed to shrink its operating losses to some degree, but we’re not discussing major improvements here. Net income, for example moved from a $443 million loss to $325 million this quarter. Better, but still a long way to go. The company’s free cash flow moderated, with the company burning $159 million this quarter, compared to more than $200 million previously. Still, as you can see, it needs much bigger improvements to get to cash flow neutral, let alone generating profits. And with user growth now in outright decline, there’s little argument that the business will achieve operating scale. Yes, revenues per user should continue to rise as Snap’s advertising becomes more effective. But with a declining user base, it will still be hard if not impossible to reach profitability. This means that Snap’s best outcome is a buyout. To Snap’s credit, they still have $1.4 billion in cash and marketable securities against just $300 million in current liabilities and no long-term debt. So the balance sheet is healthy for now. But the clock is ticking. Each additional quarter costs the company around $150 million of its remaining cash pile. Unless conditions markedly improve for the firm (and that’s unlikely with the user base stagnant) the company will need more capital. The easiest way to get that is for one of the major tech titans to buy Snap out. The brand certainly has value. And when combined with another bigger firms’ user base, it could power Snap forward. Alphabet (NASDAQ:GOOGL) for example, would bring both the needed users and the financial and coding firepower necessary to really challenge Facebook and Instagram. Of course, with Snap losing value each quarter, the question is why buy out Snap now when the price to buy it later will probably be cheaper? I do think there’s a good chance Snap is eventually acquired, but the $9.5 billion market cap is still steep for a company generating just $1 billion a year in revenues along with sizable operating losses. Snap faces a difficult challenge reactivating user growth given Instagram’s dominance in the key youth demographic. While it still has plenty of cash for now, Snap needs to figure out something pretty soon or shares will go lower. I wouldn’t be at all surprised to see SNAP stock settle around JP Morgan’s $6 price target for the foreseeable future. At the time of this writing, Ian Bezek owned FB stock. You can reach him on Twitter at @irbezek.